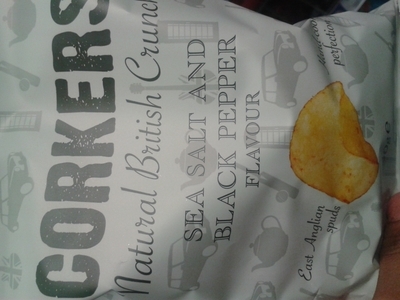 A Southern alternative to Kettle Chips,Corkers are the independent company who produce baked goods. The consumables industry is huge, so to even stand a chance of becoming even slightly successful, the packaging must be on point. 'Natural British Crunch' is emblazoned across the front of the packet, on top of shadows of all things English: a telephone box, a teapot, and a British flag. There is also a little caption to the left of the pictured crisp: "East Anglian spuds". The Corkers group are trying to hit home about the authenticity of their brand, and anchor their roots in British heritage. In terms of flavour I was impressed. The ratio of salt to pepper was perfect, and you can tell that there is little else added, but what is advertised on the packet. With crisps, no matter what the packaging is like, or the stated origins of the potatoes, it all comes down to taste. 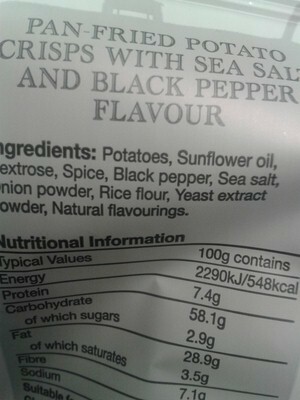 So, as I eagerly opened my packet of salt and pepper crisps, I was hoping there was some substance behind the style. Thankfully, the crisps were delicious, but instead of enjoying the packet there and then, and friend decided to serve the crisps alongside the burgers she had been cooking. Bizarre, but the marriage of (very) crunchy, salt and peppery crisps with the juiciness of a burger was incredible. 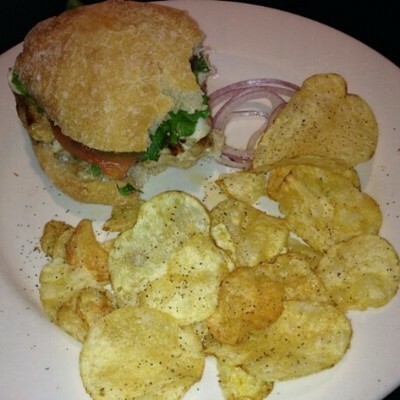 A mixture of textures, I didn't even notice they'd replaced actual chips. 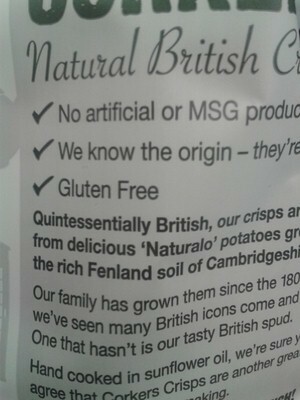 I'm really not one for junk food snacks, but the crisps have an authentic, less fried, notion about them. Perhaps it's the statements about the way they are cooked, and the simple ingredients. I couldn't resist buying them. (95p).